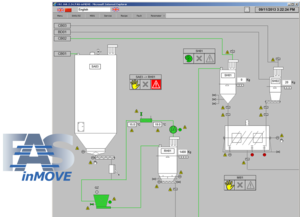 As one of the leading specialists for industrial software inray has established itself on the market for MES/SCADA, LIMS and MDE/BDE-systems for more than 20 years. 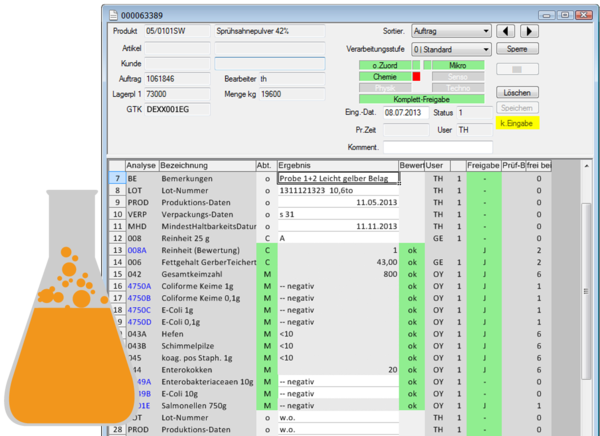 On the basis of our own software products, we plan your application to measure. Consulting, planning, implementation and training are our core services. We realize PDC/MDC-projects comprehensively from the PLC to the archived report. Our licenses are always valid each server license and include any number of clients, operating pages, data points or connections. Thanks to modular licensing, our software pays for itself even when using fewer functions. Basically our programs are open for coupling with external systems; whenever possible, we use standard interfaces. The project development takes place on graphical interfaces and can also be learned by you as a user at any time: We train you! This enables us – or you – to create web-based applications as a complete MES-solution or as a partial solution within existing projects. Solutions are freely scalable: from small manufacturing companies to international corporations. Collect data. Distribute data. Connecting systems. The OPC router as a central communication platform. One production portal – 100% web. 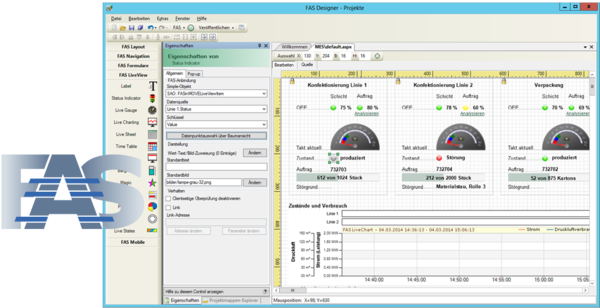 FAS combines all MES-applications on a uniform web interface. 100% Web. 100% live. 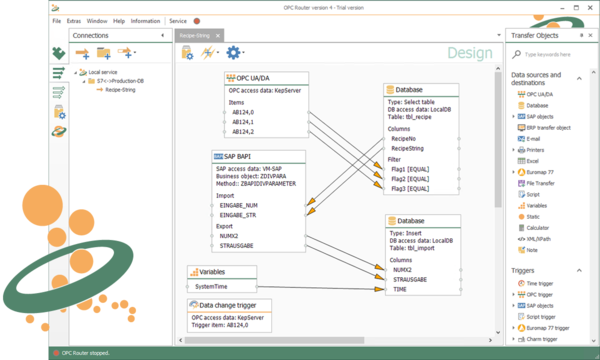 Access the system-visualization from any web-enabled device. 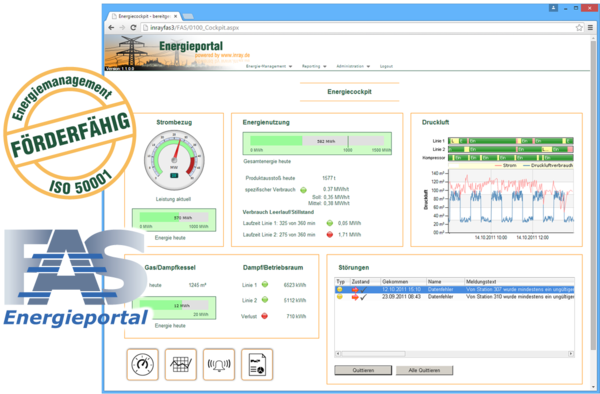 Record energy data, visualize and monitor consumptions. The powerful LIMS for simple and effective laboratory management. 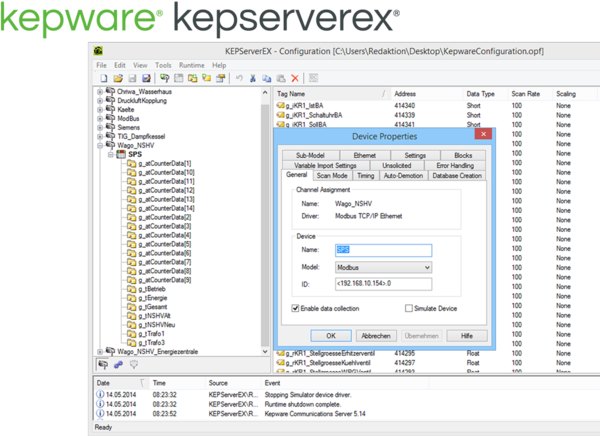 The powerful OPC server from Kepware – your basis for industry 4.0. Test the OPC Router now!